All too often people have a wrong perspective on prayer. They think that by asking for things in prayer, they are pestering God who does not look kindly upon their petitions. Such an attitude is completely wrong since we need prayer if we are to obtain heaven. If God wishes our salvation even more than we ourselves, then it is logical that he welcomes our prayers and petitions that bring us closer to Him. Our prayers should not be occasional requests for help but constant entreaties. This is because the greatest difficulty of our spiritual life is overcoming our many defects for which we need not only constant but extraordinary prayers. This need will always be with us, since our defects will plague us until we die. Even when we have a victory over our defects, we still need prayers. We need prayer to sustain any victory over our defects, lest they return. 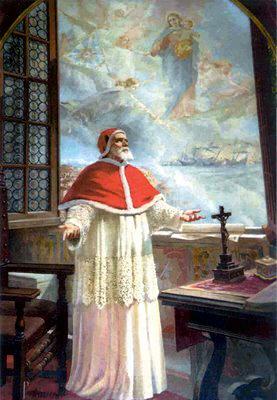 Pope Saint Pius V prays fervently for Christendom during the Battle of Lepanto, receives vision of Our Lady confirming victory. Most people know we have a right to ask for this help. But this great privilege goes even further. Consider this great truth: We do not have the right not to ask for help. Imagine a captain in a besieged city. He sees his desperate situation and realizes that if he does not call for help from the king outside the city, he will lose the city. For him to not call the king, is to betray his king. He would be a traitor. 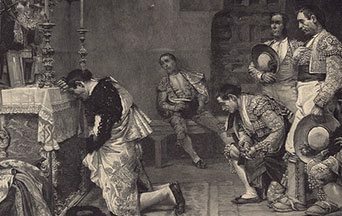 In a similar way, we commit treason by not praying. If through pride or laziness, we refuse to pray, we will lose the great city of our soul. God is near and only awaits our entreaty so that the city may be saved. We must therefore pray. We should pray for every need, known and unknown. We should ask God for the grace of seeing what we need. God puts in our souls a supernatural instinct whereby we more or less sense what we need to sanctify ourselves. Let us pay attention to this instinct. Let us not be traitors in this great fight for salvation! We have every right to ask God for what we need. We do not have the right to not pray when our souls are in danger. By not praying, we become traitors to our own cause. 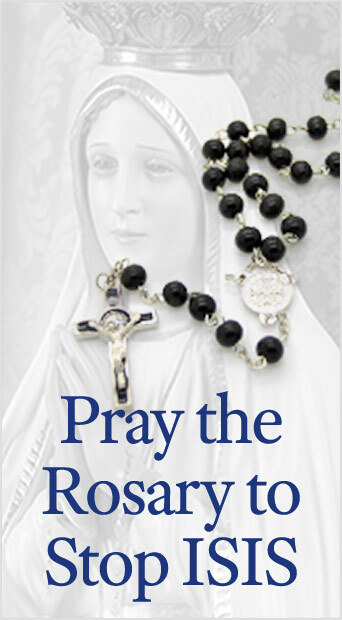 This entry was posted in Catholic Perspective and tagged necessity of prayer, pray, prayer, spiritual life by John Horvat II. Bookmark the permalink.